dmFileNote allows you to create descriptions for any file or folder, regardless of the type. It's like having the ability to create digital 'sticky notes' for your files and folders. 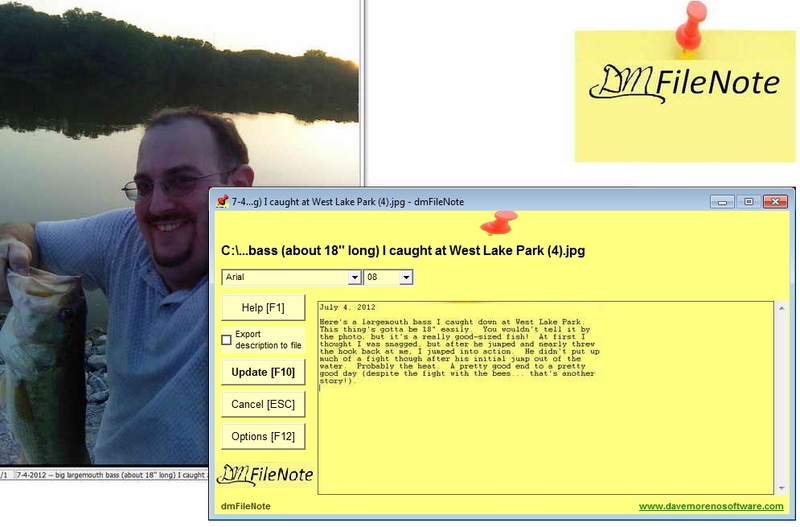 dmFileNote is freeware / donationware. If you wish to provide your support by donating, you can register your copy. Stores descriptions for any file or folder you wish, without affecting the contents. Descriptions stay with files and folders, even after copying/moving/renaming (NTFS required). Allows you to export descriptions, for inclusion with files copied across networks/etc. not supporting NTFS file information. Easy-to-use interface with a simple textbox for entering and modifying descriptions. Extremely low footprint - does not require much memory or storage space. Integrates with Windows Explorer file/folder context menus, allowing easy and instant access to dmFileNote. Allows file/folder descriptions up to 30,000 characters in size per file. Plenty of space for your notes, keywords, documentation, etc. Integrates with Windows Explorer file properties feature. You can modify file comments using dmFileNote or Windows Explorer - it's up to you. Enhances Windows Explorer search functionality, providing you the ability to modify searchable comments/tags for any file you choose. Optional "00_index.txt" index file creation and maintenance. 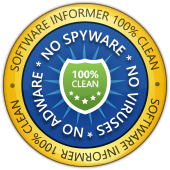 These index files can be used by FTP clients and file cataloging software. Failsafe feature to help recover lost descriptions. 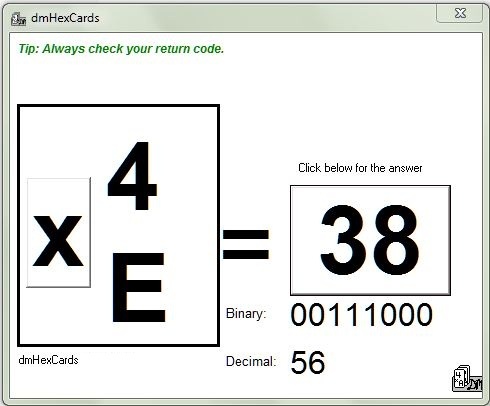 dmHexCards is a simple and effective "flash cards" tool useful for memorizing hexadecimal addition and multiplication tables. Perfect for any computer programmer's arsenal. It also displays helpful programming tips. FREE for personal non-commercial use only. Commercial users, please contact Dave Moreno Software to obtain permission to use dmHexCards. Extremely easy to use. No installation required - simply extract and run! Features both addition and multiplication functionality. Displays computer programming tips (which are user-editable - simply edit the "tips.txt" file). You will need a 'zip program' to open most downloads. A popular one for Microsoft Windows is 7-Zip. Copyright (C) 2012-2018 Dave Moreno Software. Website hosted by x10hosting (much thanks!). Windows is a registered trademark of Microsoft Corporation in the United States and other countries. 7-Zip is copyright (C) Igor Pavlov.